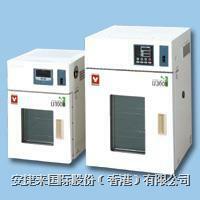 This isapersonal-usetype, chlorofluorocarbon-free incubator which utilizeaPeltiertdevice. The observation window ontheIJ100Wutilize energy-saving pair glass and has been designedwithconcernfor the environment. Wasteful heat radiation ispreventedthroughthe combination of pair glass andsemi-temperedglass. It works continuous at the setting temperature below 35℃. *1:Thevalueunder the condition of the ambient temperature of 20°C,andwithoutload. *2: The projection is not included. Thesearepersonal-usetype, chlorofluorocarbon-free incubator whichutilize aPeltiertdevice. The observation window ontheIJ300Wutilize energy-saving pair glass and has been designedwithconcernfor the environment. Wasteful heat radiation ispreventedthroughthe combination of pair glass andsemi-temperedglass. The IJ300W featuresasliding-typetray (optional accessory) to hold the shaker whichisconvenientfor mounting the micro-shakerandinserting/extractingsamples. Itworkscontinuousat the setting temperature below 35°C.